Normally the cars are equipped with open differentials, just like cars with rear wheel drive, differential case (differential briefly) and final drive (gear pair) are placed in one housing. 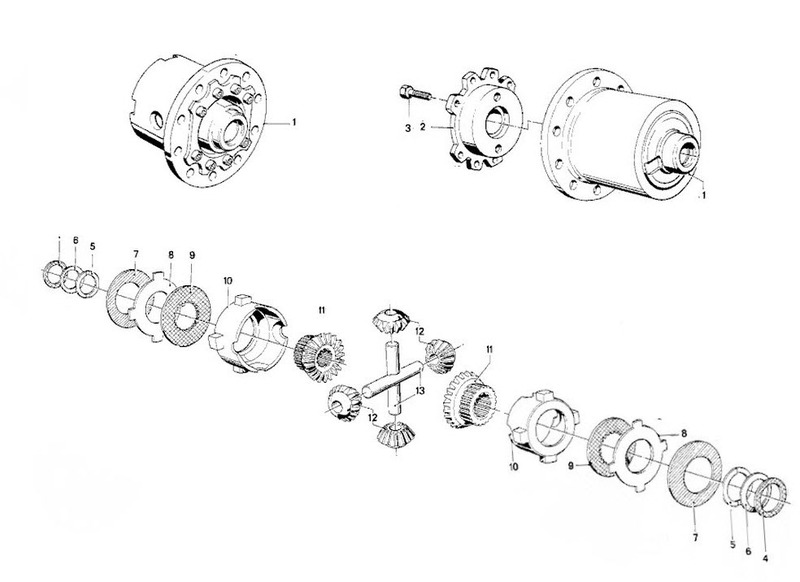 BMW chose to use LSD friction type(clutch type) produced by ZF. 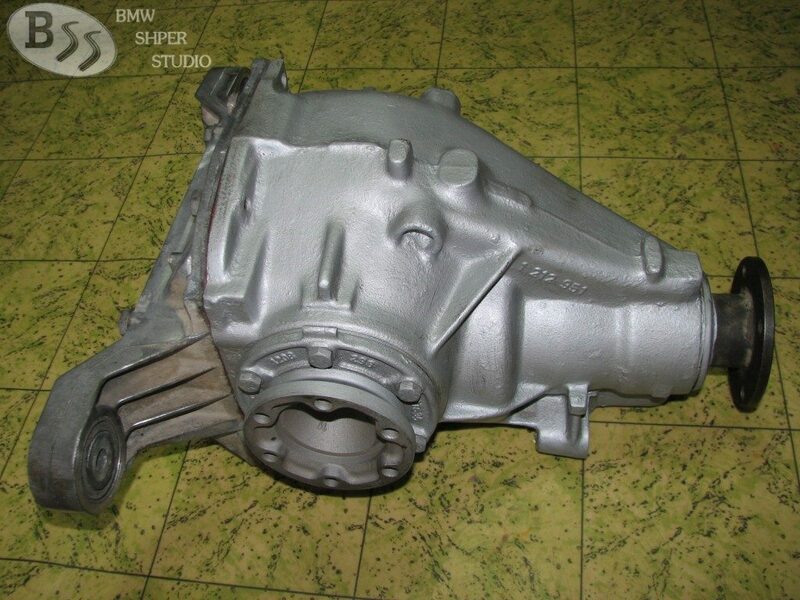 All BMW models until E36, E34, E32 could be produced with the option “sperrdifferential”. Over the years, they were installed and other types as Visco LSD, locking type (EH Differential), Torsen… but this was rare. Here I will explain what is the difference between open differential and LSD. 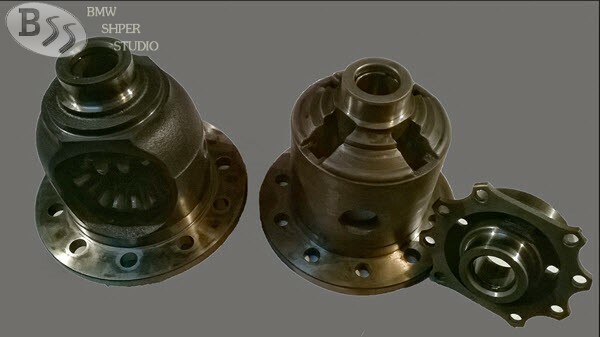 Differential character is determined by planetary gear. This mechanism is designed to differential case. Here is an example of open case type and limited slip case. 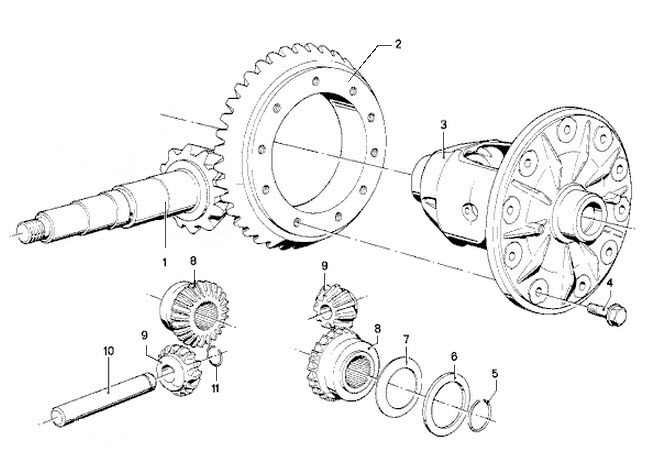 It is possible to make LSD with an higher percentage lock and a different gear ratio, according to the field of application. The most amazing thing about LSD is the fact that it works completely automatically. Don’t need any human intervention, pressing buttons, etc. As someone says: self-blocking differential. However it requires a little more attention to service. If in the open diff not fundamentally change the oil (Long life), the limited slip differential requires a special oil, which must be changed frequently, depending on how you use the car and what is the main purpose. typ168 (little pumpkin). Used for 4-cylinder engines for models E30 and E36 including 320i.